The history course is based upon the Holt textbook United States History: Independence to 1914. Most topics and assignments are centered around each chapter in the textbook. To find work, click on the current chapter link in the left column. Note: Do not download any forms for class until the teacher verifies they are updated. Some modifications to assignments will occur as the year progresses. There are some assignments that are independent of the textbook. Information for those assignments, as well as other resources, is listed below. The argumentative paragraph requires the student to take a position on a topic and then defend it using facts, examples, and quotes to support that position. It is an exercise in critical thinking and gives the student a greater understanding of the complexities of past events. This exercise will be assigned from time to time as subject matter allows. Reading is an important part of a good education as it provides detailed information and it fosters brain growth. 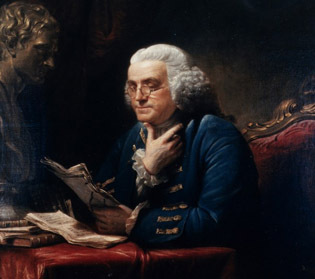 People who read develop better concentration, vocabulary, writing skills, and thinking ability in general. A book is to the mind what a gym is to the body. Therefore, each quarter students will read a book on U.S. history from different time periods and take notes on the Reader's Notes worksheet. At the end of each quarter, students will give a formal speech about the book they read. 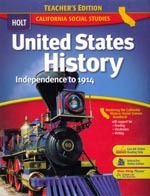 The United States history course is organized by the textbook chapters. Click on a link to go to a specific chapter/period. Each link contains information and downloadable worksheets.